Religion as Poetry continues in the grand tradition of the sociology of religion pioneered by Emile Durkheim, Max Weber, and Talcott Parsons, among other giants in intellectual history. Too many present-day sociologists either ignore or disparage religious currents. 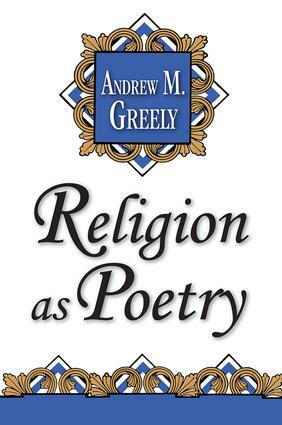 In this provocative book, Andrew M. Greeley argues that various religions have endured for thousands of years as poetic rituals and stories. Religion as Poetry proposes a theoretical framework for understanding religion that emphasizes insights derived from religious stories. By virtue of his own rare abilities as a novelist as well as sociologist, Greeley is uniquely qualified for this task.Greeley first considers classical theories of the sociology of religion, and then, drawing upon them, he explicates his own interpretation. He critically examines the viewpoint that society is becoming more secular, and that religion is declining. He observes that this theory stands in the way of persuading sociologists that religion is still worth studying. In contrast, Greeley is interested in why religions persist despite secular trends and alongside them. He argues that it is poetic elements that touch the human soul. Greeley then sets out to test this viewpoint.Greeley maintains that his theory is not the only, or necessarily even the best approach to study religion. Rather, it is his contention that it uniquely provides sociologists with perspectives on religion that other theories too often overlook or disregard. Religion as Poetry, an original and intriguing study by a distinguished social scientist and major novelist, will be enjoyed and evaluated by sociologists, ' theologians, and philosophers alike.